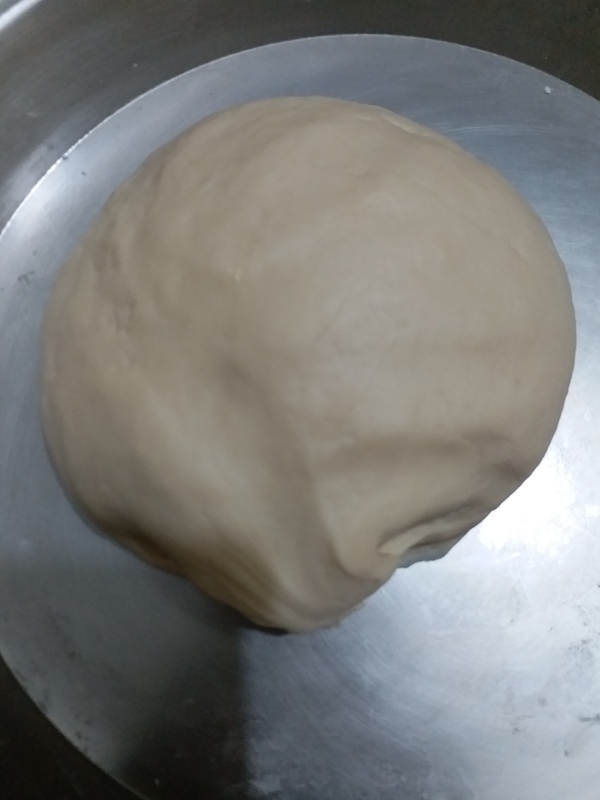 In order to make the dough , mix in the yogurt , oil, salt and sugar with the flour , add in the required amount of water to make a smooth and soft dough. Grease the dough with cooking oil and place it in another bowl and keep it covered and leave the dough for at least 2 to 3 hours. After the standing time , knead the dough again for 2 to 3 minutes . Divide the dough into 5 to 6 equal portions , make round shape balls from it and again leave it for 30 minutes or so . 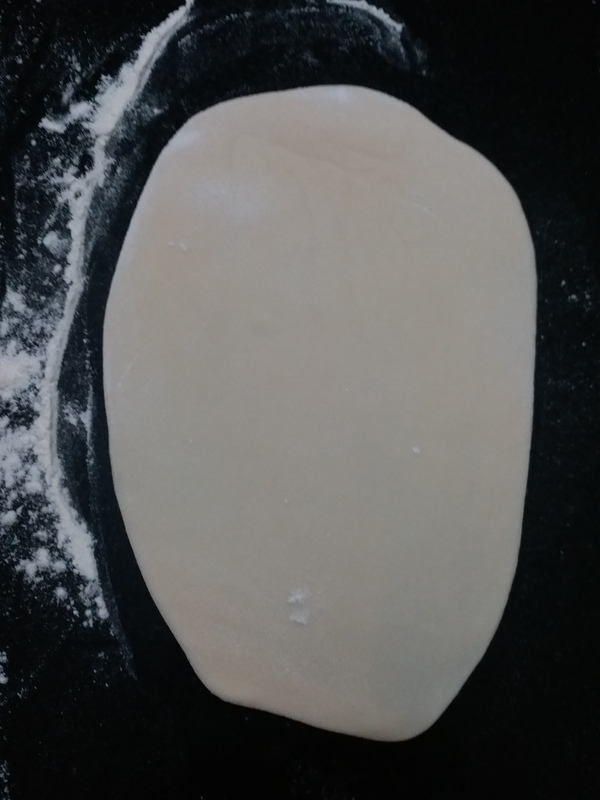 Take a ball and coat it with dry flour , place it on a rolling board and flatten it , then roll into a long and oval shaped disk ( around 6 inches long and 1/2 cm thick ). Sprinkle some chopped garlic and coriander over it and then press it gently with a rolling-pin. 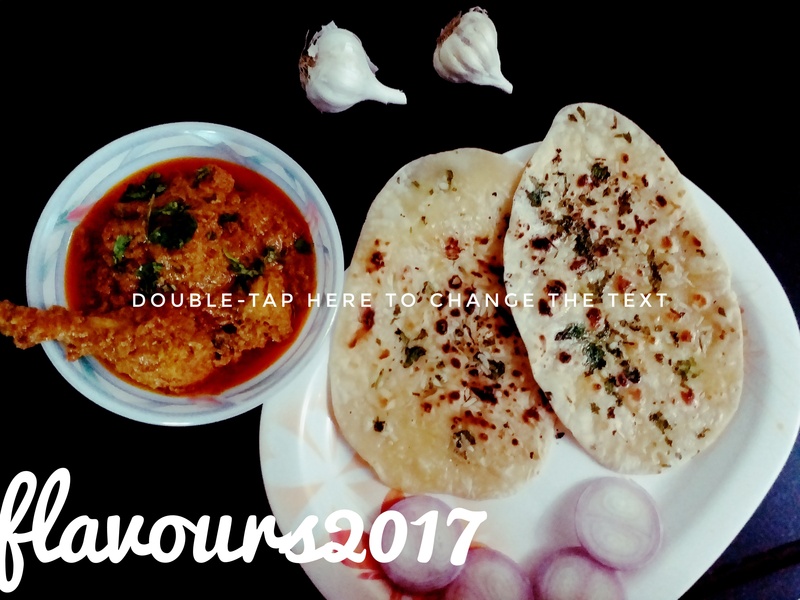 Turn the naan ( keeping the garlic sprinkled side down), wet the top surface with water using hand or brush. Heat a cast iron tawa and then place the rolled naan with the wet surface down. This will make the naan stick to the tawa – within minutes tiny bubbles will appear on the surface. 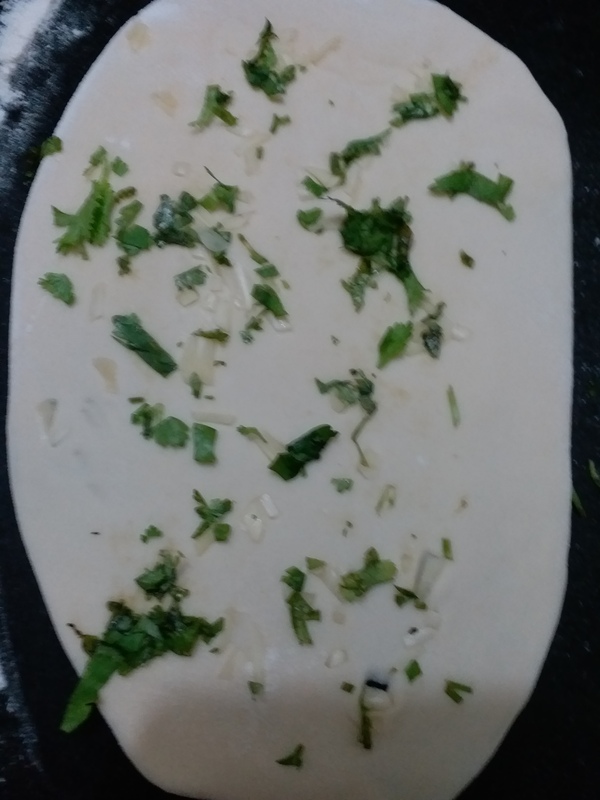 Now grab the tawa with its handle and turn it upside down and keep it over direct flame.Move the tawa on a circular motion until tiny brown spots appear , this will take about a minute or so. 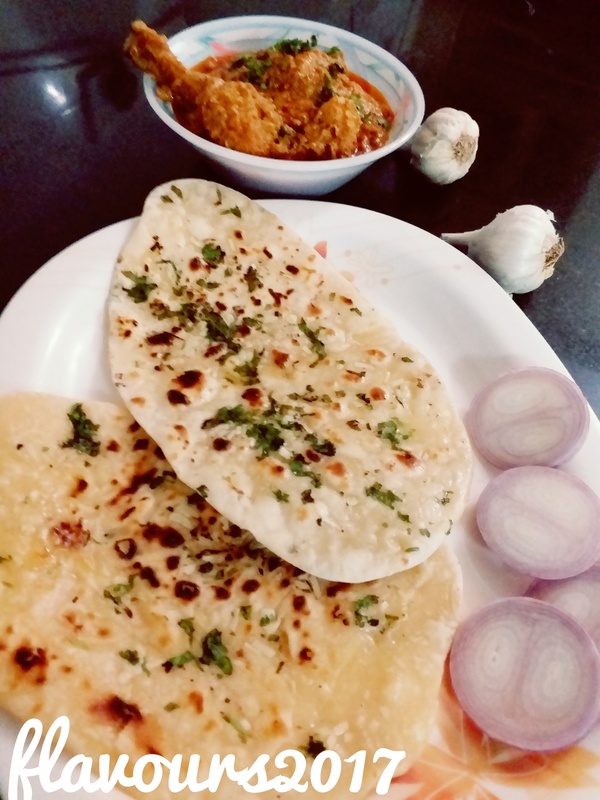 Remove the naan with a spatula , it should have nice golden brown colour on the bottom surface. This one is making me hungry.